Now that you can create have the whole chat flow, you need to be able to use the bot right? Go ahead and click the Red Deploy Bot button in the top right. You will have to click on the “Deploy ConvBot” button everytime you make any changes in the bot. 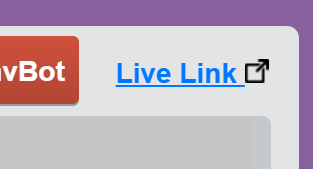 As soon as you click on the “Deploy ConvBot” button, the Live Link next to it will turn blue and this is the link of your bot.